The park is one of a kind, conceived by Prince Vicino Orsini in memory of his wife Giulia Farnese and designed by the renowned architect Pirro Ligorio in 1552. 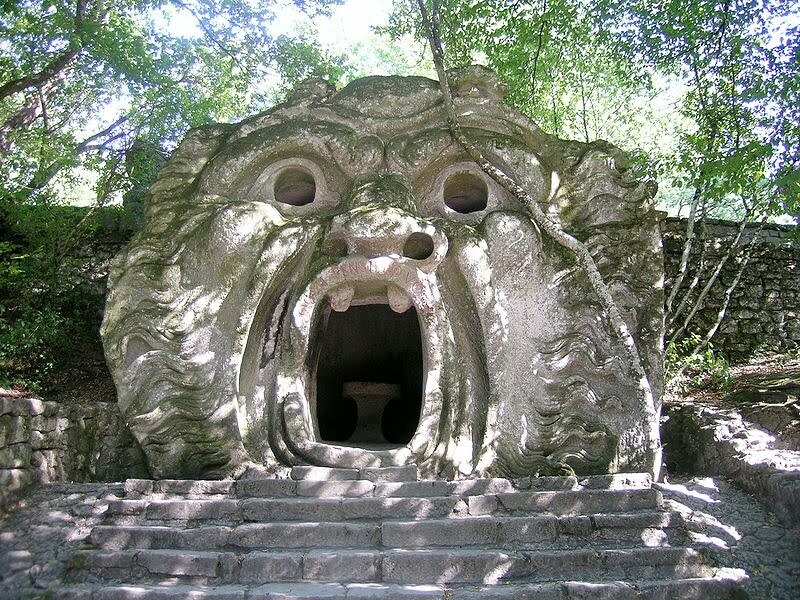 The cultured prince of Bomarzo devoted himself to the creation of an eccentric grove surrounded by sculpted boulders emerging from the ground. Among the vegetation, the visitor will meet the grotesque and unusual population of the park: enigmatic figures of monsters and dragons, mythological characters and exotic animals. There is also an authentic leaning house, a funeral temple, fountains, seats, and obelisks engraved with mottos and inscriptions.